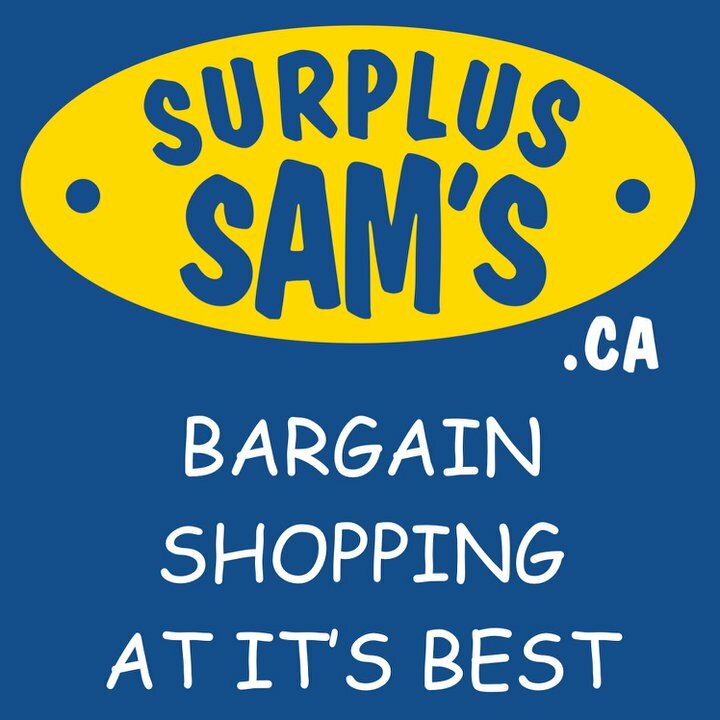 Surplus Sam’s, a store by those who know of it attend it regularly as the prices are rock bottom, the service is awesome, and the staff is friendly and accommodating. 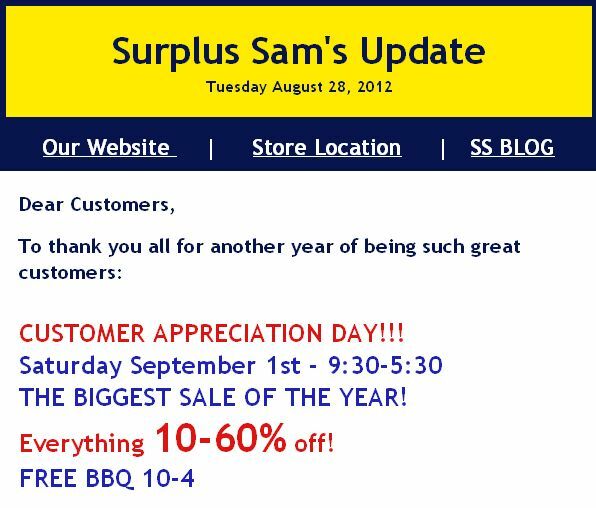 This past Saturday Sept 1, 2012 was the annual Customer Appreciation day where you could get up to 60% off the already low prices and a free hot dog and drink. 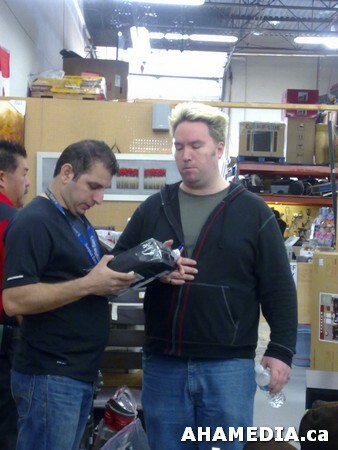 The lineups to check out were very long but short wait times as the staff were fast and friendly. The weather was perfect, not too hot but very sunny. I was able to purchase a pair of headphones for a fraction of the price you would see at another store and the only thing wrong with it was that the packaging was damaged. This place is awesome, I definitely recommend it to anyone who wants a great deal (admit it, everyone loves a good deal). 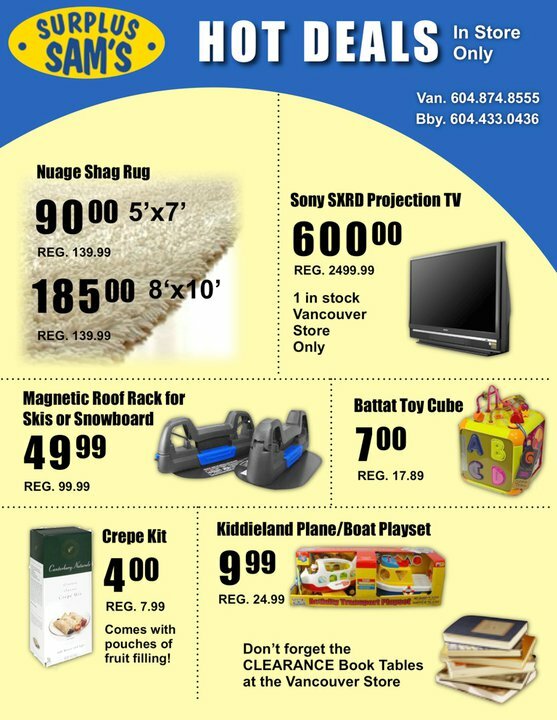 Surplus Sam’s started in 2002 with our South Burnaby store and a contract with a major retailer/wholesaler to buy up their customer returns, clearance, freight claims, and just about anything they wanted to send us. 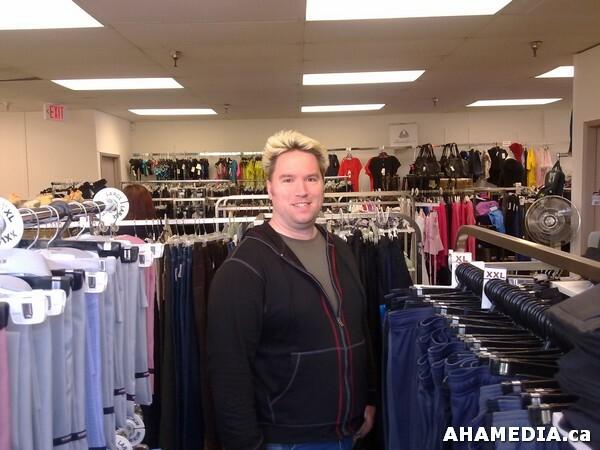 Since then we have diversified some of our product to include merchandise from bankruptcies and liquidations. Due to the nature of this business, our merchandise is always changing and often very unique… see something once, you may never see it again… anywhere! This website represents a very small percentage of the products that can be found in our store, but also has some merchandise from our storage warehouse that can only be found online.